Village of Suffern offices will be closing at 12:00 p.m. due to the inclement weather. Offices will reopen tomorrow at 8:00 a.m. Please Dial 911 for Immediate Assistance from Police, Fire, or Ambulance. 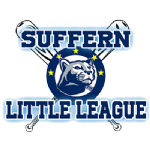 Suffern Police Department: (845) 357-2300. For any other emergency, including water or sewer emergencies. Streets and roads, storm sewers and drains, recycling and solid waste. Monday through Friday (Day): (845) 357-2602. Monday through Friday (Nights & Weekends): Call the Police Department – (845) 357-2300. Electric or Natural Gas Emergencies.